Charlie Chaplin (Modern Times) was already an international star when he decided to break out of the short-film format and make the 1921 film The Kid, his first full-length feature. The Kid doesn’t merely show Chaplin at a turning point, when he proved that he was a serious film director—it remains an expressive masterwork of silent cinema. 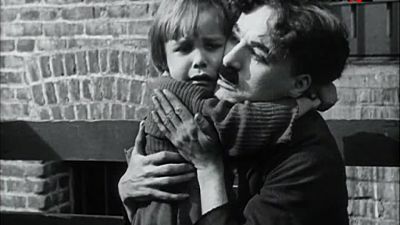 A family-friendly comedy-drama, the film stars Chaplin as his lovable Tramp character, this time raising an orphan (a remarkable young Jackie Coogan) he has rescued from the streets.